Was Edward VIII a Nazi sympathizer looking to overthrow his brother? Netflix’s hit TV series The Crown, which goes deep inside the private world of Queen Elizabeth II and Britain’s royal family, chronicles their lives within the sweep of global events during and after World War II—from the Suez Crisis to John F. Kennedy’s assassination. Below, our guide to the history behind some of the show’s biggest season-two plotlines. SPOILER ALERT: Major season two spoilers ahead. Read with care. On October 29, 1956, Israeli armed forces pushed into Egypt toward the Suez Canal three months after Egyptian president Gamal Abdel Nasser nationalized the canal to help fund a dam across the Nile River, initiating the Suez Crisis. Nasser’s move dealt a harsh blow to the British. The 120-mile canal, a commercial shipping hub connecting the Mediterranean and Red Seas, was crucial to English economic interests, particularly since it facilitated the all-important flow of oil. Originally opened in 1869, it had been jointly controlled by Britain and France—even after Egypt gained independence in 1922. The British were loathe to lose it, and the international influence it signaled. While it initially appeared that French and British forces joined the Israelis two days after their incursion, it was later revealed that the three powers had met and planned the attack altogether. This crisis put a significant strain on the relationship between these three countries and the United States. President Dwight D. Eisenhower was upset with the British, in particular, for not keeping the U.S. informed about their intentions. The U.S. threatened all three nations with economic sanctions if they persisted in their attack, and the United Nations passed a resolution calling for a cease-fire. The threats worked. The British and French forces withdrew by December; with Israel finally bowing to U.S. pressure in March 1957. This crisis was not only seen as a complete failure, one that weakened the influence of Britain and France worldwide, but it was also a turning point in the career of Conservative Prime Minister Anthony Eden, who resigned two months later. 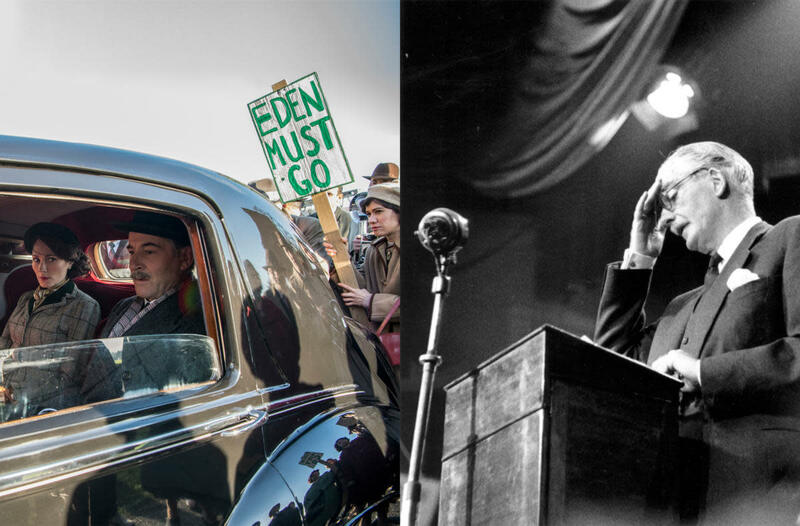 While his official reason was “ill health,” it has long been assumed the worldwide humiliation he suffered due to his mishandling of the Suez Crisis was the real impetus behind his decision. Lord Altrincham, later known as John Grigg when he disclaimed his title in 1963, was a writer and British politician. He jumped into the spotlight in August 1957 when he published a scathing article in his own paper, National and English Review, of Queen Elizabeth II. He specifically criticized her public persona and voice, calling her style of speaking “a pain in the neck” and saying she came off as “a priggish school girl.” Some of his critiques of her were steeped in sexism, and reminiscent of the criticism many women leaders face today, but they also reflected a growing sentiment amongst British citizens: The monarch was stuck in the past. The world around the royal family was changing, and it was time for them to catch up. We may never know if Altrincham actually had a private meeting with the Queen herself, as shown in The Crown, since her communications are mostly kept private. But we do know two of his recommendations for the Queen were implemented later that year. First, the Queen televised her yearly Christmas message for the first time ever. While the address was a tradition that was started by George V in 1932, the people never had a view into the Queen’s home before. This served to “humanize” the Queen and provide the public with a glimpse into her family environs. Secondly, the debutante balls normally reserved for Britain’s upper class were made into “garden parties” which included a much larger invitee list spanning many classes. 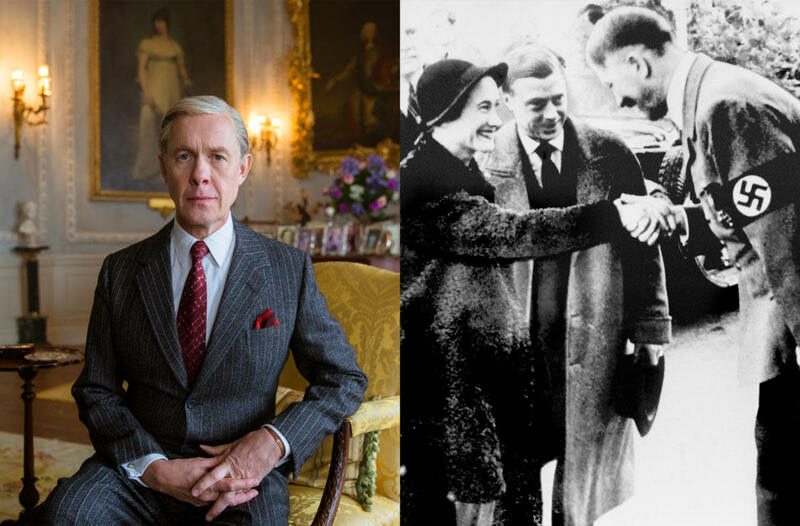 On the left, Edward, Duke of Windsor (formerly King Edward VIII) from Netflix’s The Crown, depicted by Alex Jennings. On the right, the real Edward with his wife Wallis Simpson meeting with Adolf Hitler in Munich, 1937 (Credit: Robert Viglasky/Netflix & PA Wire/AP Photo). Edward VIII became King of England after the death of his father, George V. He ruled for less than a year, abdicating the throne in 1936 in order to marry Wallis Simpson, an American divorcée. 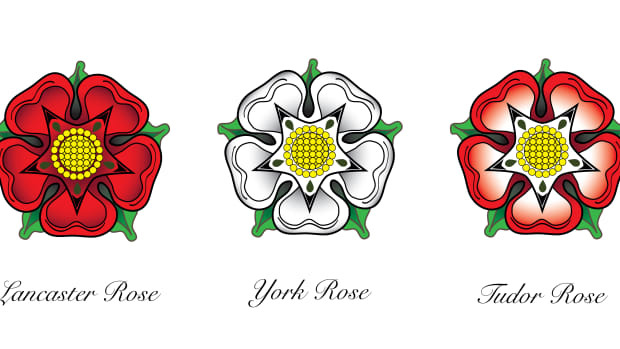 At the time, the Church of the England—which is led by the monarch—did not allow divorces. 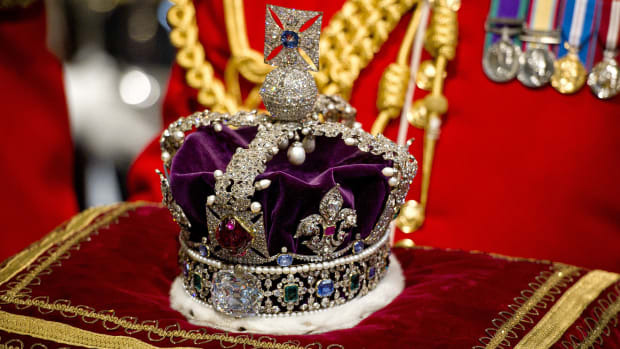 Therefore, King Edward VIII had a choice: love or the crown? He chose love, taking on the title of Duke of Windsor. 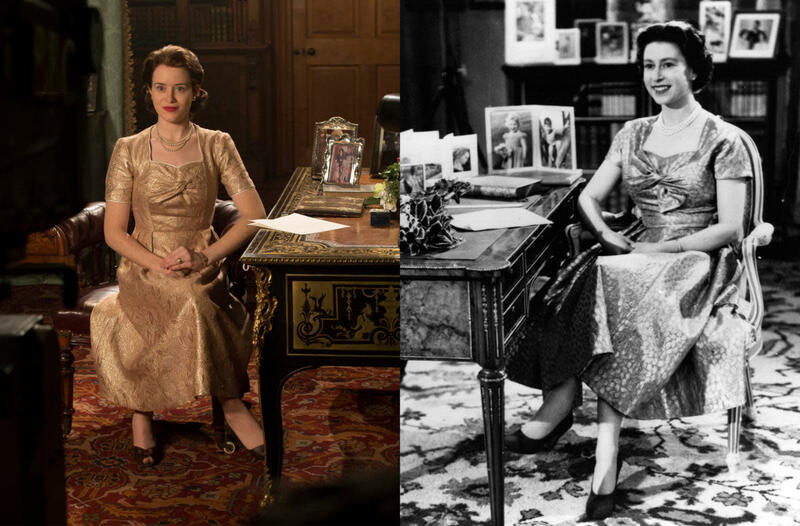 The relationship between the Duke of Windsor and his royal family has been at the center of many plot lines in The Crown. What might have seemed like petty family feuds and a complicated love story, however, is actually much more pernicious, filled with pro-Nazi sympathies and ties to Hitler. In October 1937, the Duke and Duchess of Windsor visited Hitler at Berchtesgaden, where Hitler had been vacationing since the 1920s. According to biographer Frances Donaldson, in her book “Edward VIII”, the Duke gave Hitler full Nazi salutes during his visit. 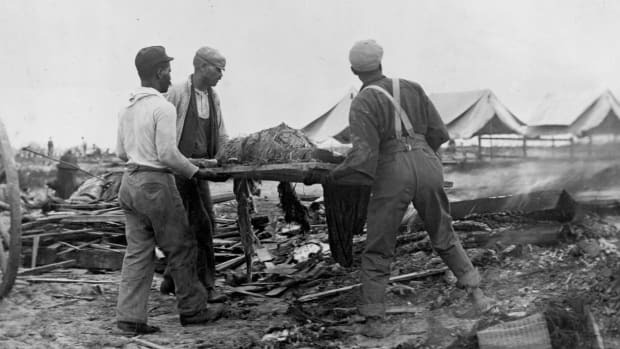 While some say this trip was more to receive support for Edward and his wife, the Duke’s actions speak louder than hypotheses. The royal family did not support this visit. Just after the war, American diplomats uncovered 400 tons of German diplomatic papers, at Marburg Castle. 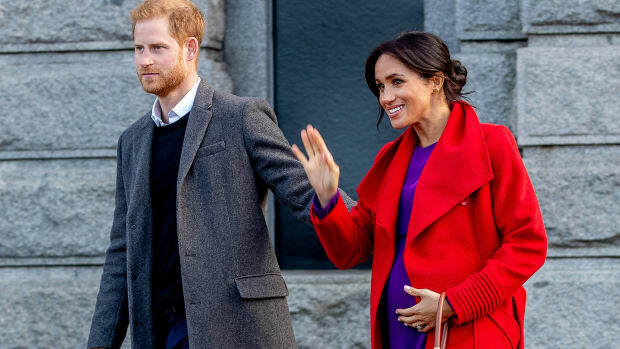 Named the Marburg files, they included a cache of documents damaging to the royal family called the “Windsor File”—some 60 documents (letters, telegrams and other papers) written by people working around the Duke, including German agents, during the war. Among these documents are details of the Nazis-devised plan “Operation Willi,” where the Germans would gain control of Britain and overthrow the monarchy, returning the Duke to the throne. The Germans viewed the Duke, who was perceived to be ambivalent about the war, as a better ally than his successor King George VI. 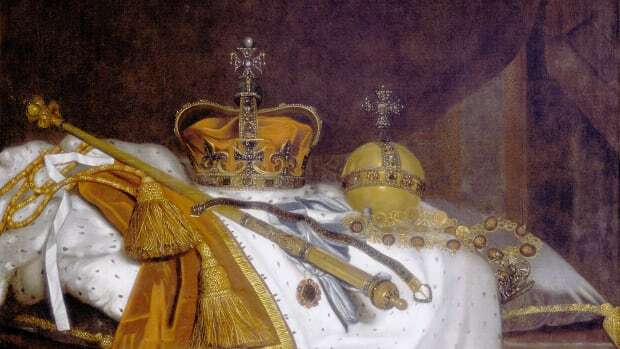 In order to get the Duke on their side, German agents tried to manipulate the ostracized royal, even attempting to convince the Duke that his brother, King George, had plans to assassinate him. The documents were leaked to the British government, which tried to suppress them. When WWII started, the Duke was made a major-general in France; but Winston Churchill, aware of Edward’s pro-Nazi sentiments, sent him to be the governor of the Bahamas. 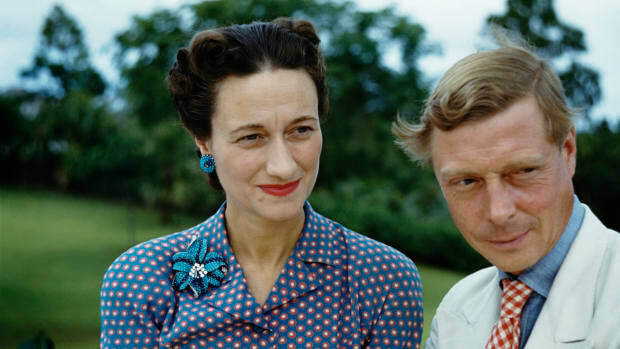 But the Duke and Duchess of Windsor did not comply right away, instead spending time in Lisbon and Madrid—during which time the Nazis devised “Operation Willi.” In the end, the Duke ended up in the Bahamas and the Nazis never succeeded in overthrowing the crown. In 1946, Britain, France and the United States agreed to work together to process the Marburg files, appointing top historians from each country to oversee the project. Despite British efforts to continue to hide the truth, Americans released the documents in 1957. 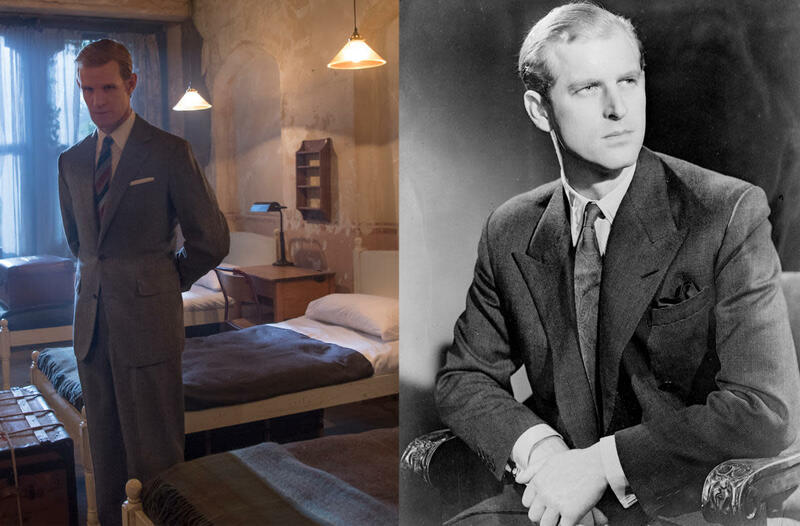 Much of season two of The Crown dives into the personal life of Prince Philip, examining his past and present demons. Shown as a cheating, partying womanizer, Philip in real life was linked to numerous women—including two dancers—but neither the Prince nor the women have ever confirmed their relations. It was Philip’s sister Theodora who put him in school under the guidance of Kurt Hahn, an education specialist who had been her father-in-law’s personal secretary. When Hahn—who was Jewish— left Germany after being arrested for protesting the Nazis, he established a new school in Scotland: Gordonstoun. It was here that Prince Philip would endure 7 a.m. wake ups, cold showers, barefoot runs and other grueling tasks. Later, Philip would send Prince Charles to this same school. The “self-discipline” regiment shaped Prince Philip, but proved horrifying for Prince Charles, who once called this school, “Colditz in kilts,” referring to a WWII POW camp. While Prince Philip, age 16, was still at Gordonstoun, his sister Camille died tragically in a plane crash. At her funeral in Germany he marched next to men in Nazi uniforms. Philip has never confirmed the family’s Nazi ties, but none of his sisters were invited to his 1947 royal wedding to Queen Elizabeth. In the book “Royals and the Reich,” Philip told author Jonathan Petropolous that his family was jealous of Jewish people for their financial success, but he didn’t recall specific Nazi connections. The photographs tell a different story.